This is nothing like Ohio. We had Redline Guide Ken Hodges out there again, this time with a guest from Ohio named Lisa. 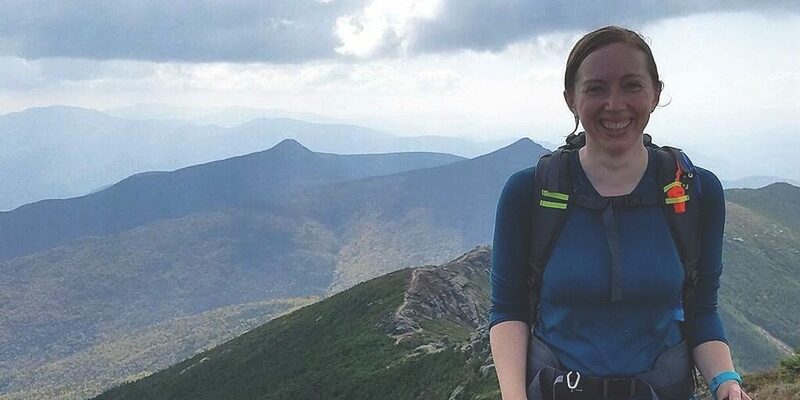 The objective — the first of two over three days (the second hike will happen tomorrow) — was a New Hampshire classic: the Franconia Ridge Loop hike. How much of a classic is this one? 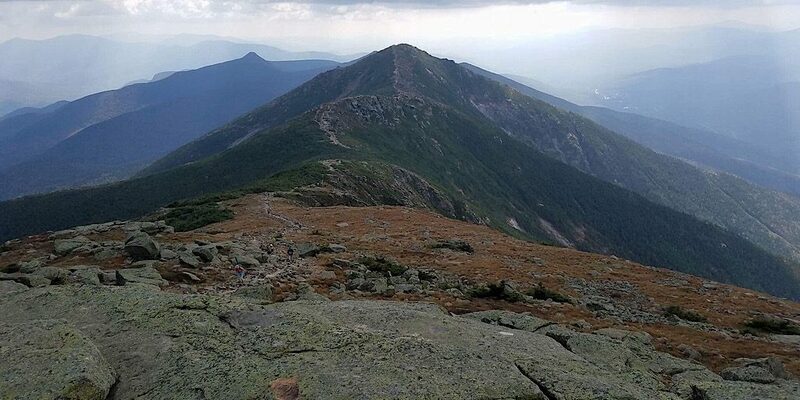 Well, if you Google “Most Beautiful Hike in NH” (which we don’t necessarily agree with, but it depends on how much you like crowds), you will find the exact loop Ken led and you’ll see that it ranks high. Number one, depending on the list. 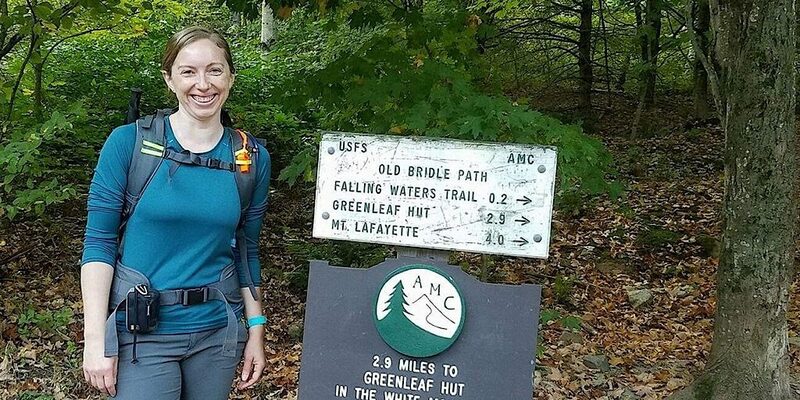 They began in typical fashion by ascending the Falling Waters Trail up Little Haystack Mountain. Ken had considered hiking up Lafayette first, but deemed Lisa’s condition adequate to easily and safely hike the entire loop so they went counterclockwise. 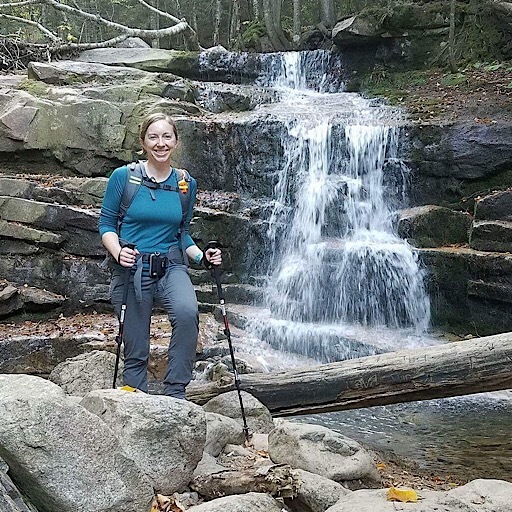 After stopping for photos at the falling waters for which this trail is named, they continued on. At just over 4100-feet they stopped at Shining Rock to take in an early view, then continued onto the ridge and the summit at 4760-feet. 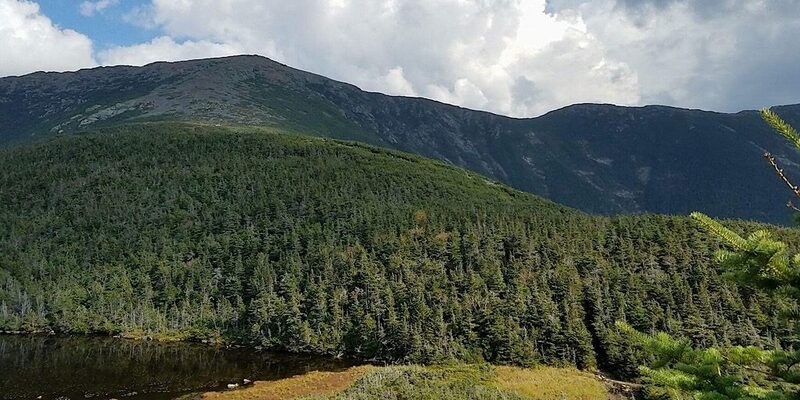 (Note: While this mountain is over 4000-feet, it does not qualify as a New Hampshire 4000-footer due to a lack of prominence over its neighbors. This is explained here.) 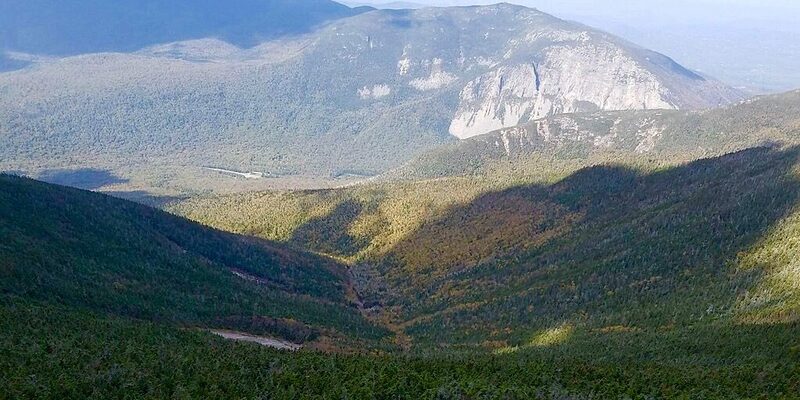 Once on the ridge they made good time covering the additional summits of Lincoln (5089-feet), North Lincoln or Truman (5020-feet, and another one that doesn’t count as a 4000-footer), and the crowning jewel of the ridge, Mt Lafayette which stands at 5260-feet… the tallest point in the western half of the White Mountain National Forest. Starting out at the trailhead. That smile stayed on her face the entire time. Stairs Falls on Dry Brook. 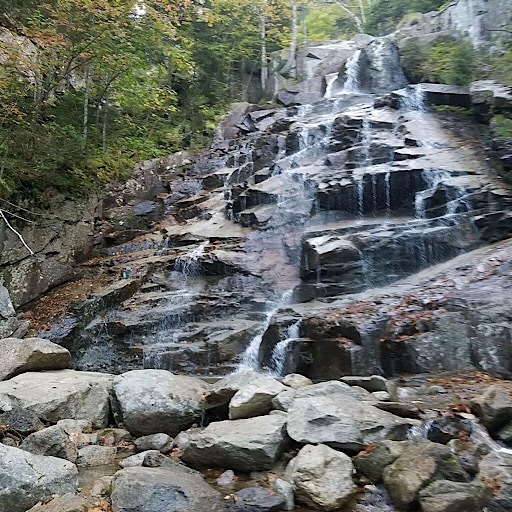 Cloudland Falls on Dry Brook. The ridge view of Cannon Mountain. Note Shining Rock in the foreground. 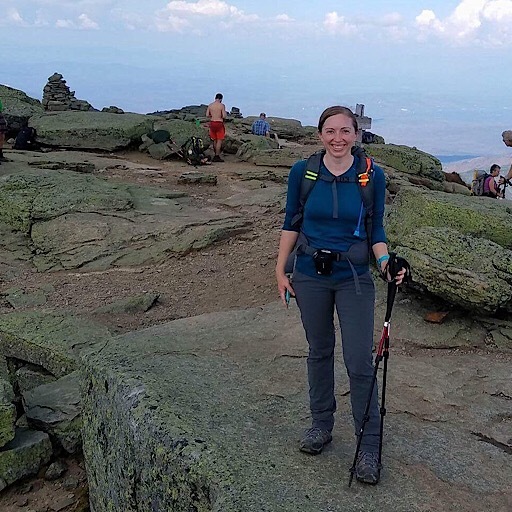 Lisa on the Franconia Ridge. Beautiful, yes? This is why it ranks so high. Congratulations Lisa. And way to go, Ken. Looking back at Lafayette from the Greenleaf Hut. Pretty stunning. Speaking of missing the mess, we would like to share some observations Ken made about the state of the trails on this loop. Over the past couple of years it should be noted that overflow crowds at the trailhead have indicated extreme levels of usage. This has resulted in these trails widening significantly. This happens because most visitors don’t know trail etiquette so instead of allowing people ascending the right-of-way, people squeeze over. Also, this level of usage will create muddy sections that will also force people to the sides. Once people step to the sides, the scant soils there begin to compact. This compaction harms and ultimately kills the trees creating an ever-wider trail corridor. Another observation was trash. Apparently Ken noted a fair amount of toilet paper on the side of the trail. For those who don’t know, this toilet paper needs to be removed. It’s disgusting to leave it there for all to see. People should bring plastic zipper bags so they can carry out their own trash. Ken also found beer cans on the side of the trail. Ken removed these cans. Not only was it helpful to the mountain, it’s was a teachable moment he could share with our guest. 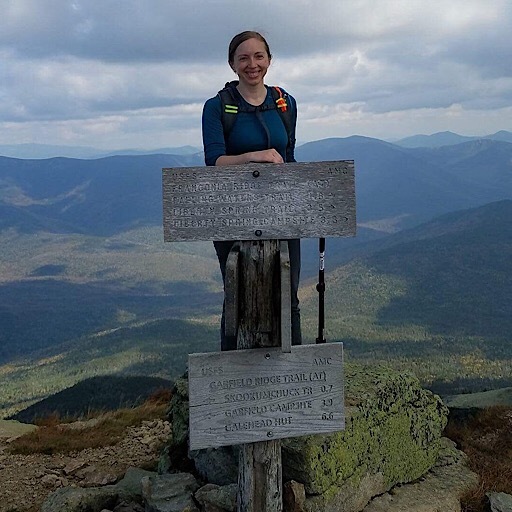 And speaking of teachable moments, as if this hasn’t been enough already, Ken also spoke to one fellow tromping around on the fragile alpine plants and grasses on Mt Lafayette. 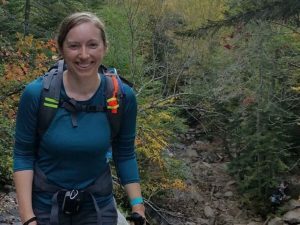 At first the fellow was defensive, but Ken explain things to him in a kind, informative manner — coming across as an “authority of the resource,” as per his LNT training — and the now-educated hiker quickly got back on trail. Well done, Ken. Great way to represent yourself as someone who cares and Redline Guiding.